Check out the list below for some of the most beloved and highly-anticipated events and celebrations in the Garden State! Everything that everyone loves about the holidays is at Johnson’s Farm! Enjoy scenic hayrides, holiday craft making, a light show by the lake, and s’more and marshmallow roasting by an open fire! And of course, no Yuletide experience is complete without a meet and greet with Santa! Check out the calendar of activities here. Marvel at the elaborate town scene and the moving miniature train on display at the Barron Arts Center! The annual spectacle is a sight to behold for both the young ones and the young once. Kids will especially enjoy the scavenger hunt as well as the visual display from the mini-camera installed on the train that gives them a more up-close view of the details of the town scene. Open all days of December! Experience a different kind of winter holiday with Ice King’s Holiday in Ice display! Every year, the massive freezer facility in Tinton houses life-sized ice sculptures created by world-renowned ice artists. Don’t forget to pack up your cameras and your winter jackets – it can get mighty cold! Check out this year’s theme here! Atlantic City goes all out in December! The usual entertainment is elevated to all-new heights with special events, performances, and appearances from some of America’s most well-loved acts. Mark your calendars – Atlantic City’s go-to destinations are going to be crazy full, so book ahead! Time travel with Cape May MAC’s historically-themed Christmas events! The Cape May destination has everything from Dickens Christmas dinners to trolley rides to house tours to a variety of themed dinners. And did we mention wine tasting events too? Bundle up and check out what Cape May MAC has in store for the holiday season! New Jersey goes BIG during the holidays, and what the Skyland Stadium has in store for the whole month of December is quite hard to beat. Whether it’s the spectacle of two million lights at their annual light show, the intricate displays at the Christmas Village, or simply skating on their 20’x40’ skating rink, there’s always something wonderful to do at Skyland Stadium. Essex’s favorite zoo transforms into a paradise of lights during the holiday season with its themed holiday lights! Every weekend the lights display changes, so if you can, visit every weekend to see the change! What do you get when you combine an elaborate Christmas lights show and a lake view? You get the holiday feature at the Historic Smithville of course! But that’s not all – they also offer other holiday specials including a special breakfast with Santa, story time with Mrs. Claus, and a Christmas train ride that will leave you in awe and in longing for the next Christmas to come! Looking to wind down from the holiday rush? In need of a classic holiday celebration? The Stickley Museum has got your back! Enjoy an old-fashioned Christmas experience at the farm – join holiday tours, shop for handmade knickknacks, or just marvel at their awe-inspiring traditional Christmas decor at the log house. This is a great Christmas activity for those looking for a relaxing getaway! Looking for something less traditional? Try out an undersea experience at the Adventure Aquarium! Kids and adults alike will enjoy looking at their underwater Christmas tree and watching Scuba Santa interact with the underwater creatures. Because why keep the fun on land, right? What are you waiting for? 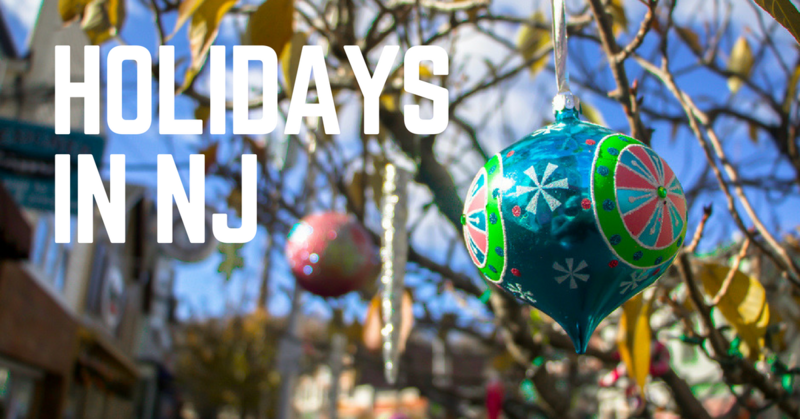 Plan out your itinerary and enjoy the holidays, the New Jersey way! Have a fun-filled, memorable, and joyful holiday from all of us here at NDC Mats!